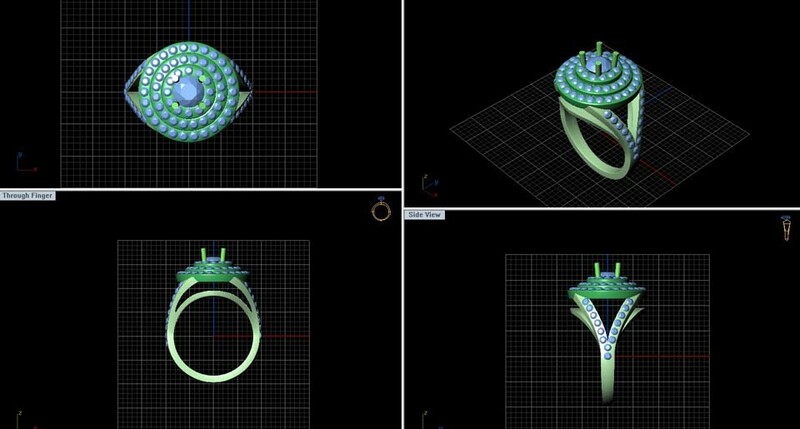 Ladies special order diamond and gemstone wedding ring set that was rendered by a 3-D computer-aided designer. 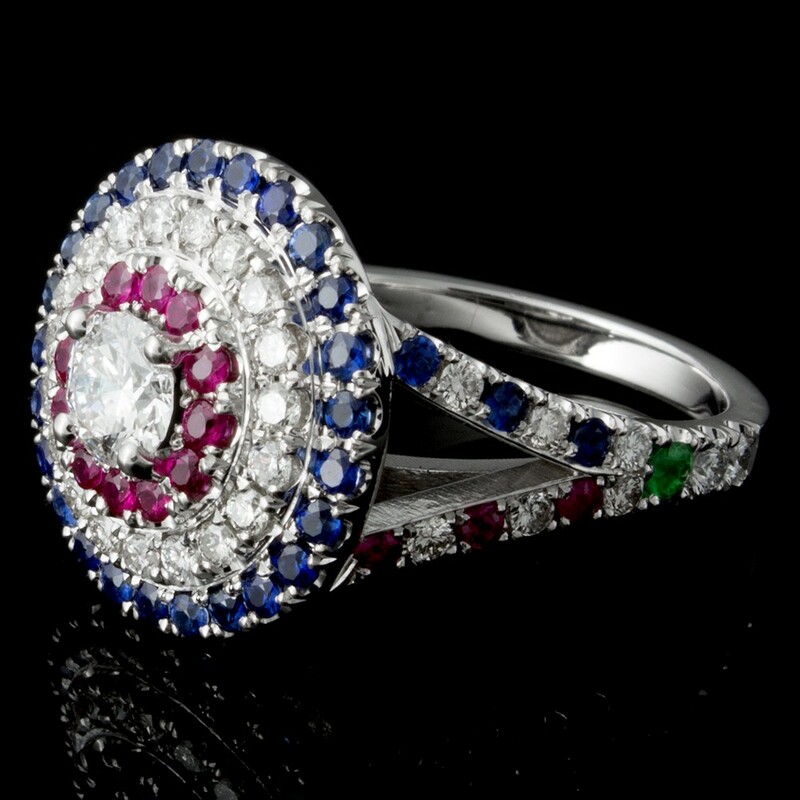 The ring was created and handcrafted in 14K white gold and features 0.60 cts (35 Dia) of round brilliant cut diamonds of G color and VS2 clarity for the 2nd row / middle halo and split shank portion of the ring. 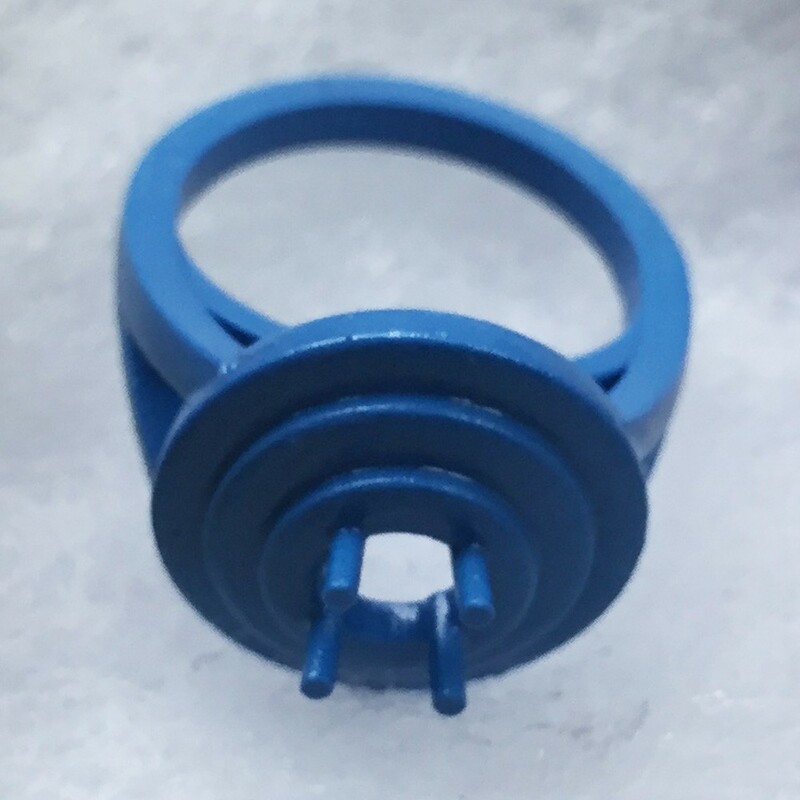 Also featured are 0.40 cts (18 Rub) for the 1st row / inner halo and split shank portion of the ring. 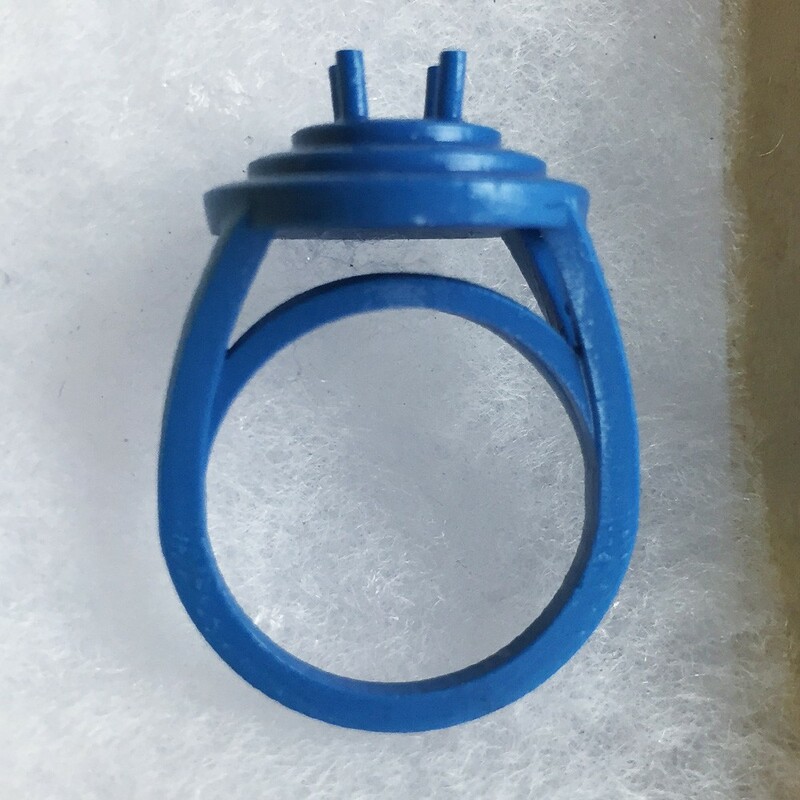 Also featured, are 0.65 cts (31 Saph) for the third row / largest halo and split shank portion of the ring. Also featured, is a 0.03 ct Emerald gemston that is mounted on one side of the shank. 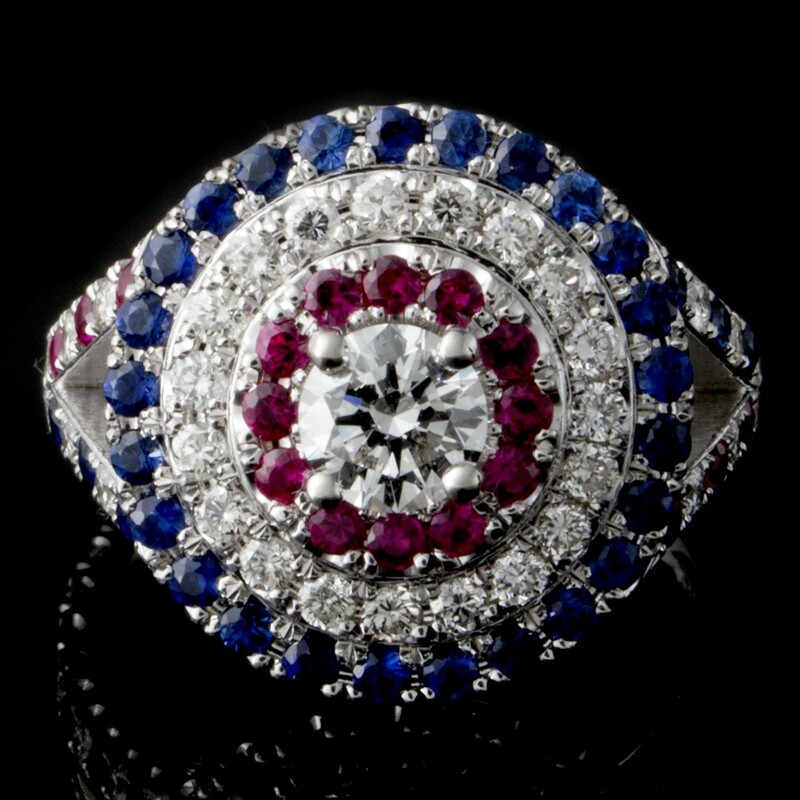 All the rubies, sapphires and emeralds gemstones are all of high grade and diamond cut. 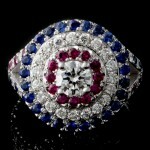 Lastly, featured is a 0.43 ct round diamond center that is GIA certified G color and I Clarity.